2018 has seen Carmen take the small screen featuring lead roles in the FNB Life Insurance and Game Stores OMG TV commercials. Most recently completed Acting on Screen course with Jacque Bessenger and Lelia Estebeth. The 2017 DSTV #DeliciousPresenterSearch winner, covering the DSTV Delicious International Food and Music Festival on social media. 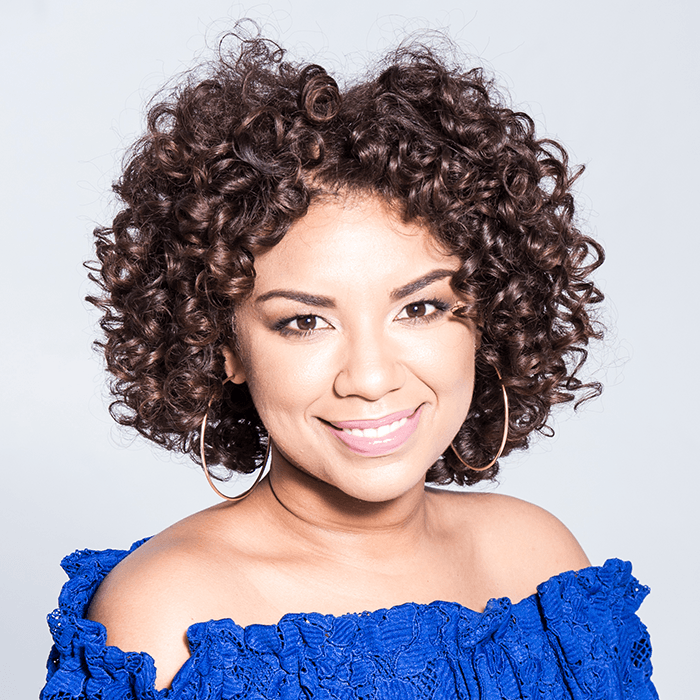 Carmen is currently a traffic presenter on Jacaranda FM 94.2 weekdays 12-4pm on the Workzone since March 2014, Carmen has also acted as TV presenter on the Afrikaans channel KykNet&Kie, and is also a confident voiceover artist, MC and actress. Carmen is a 20 something bi-lingual media personality. A naturally bubbly and vibrant persona. Passionate about the media industry, women empowerment and natural beauty and has a vibrant social media following, promoting natural hair and body positivity. With over 5 years radio experience, starting at Bay FM and then moved on to PEFM in Port Elizabeth where she presented the Afternoon drive Destiny Drive for 2 years. After completing her Batchelor of Arts in 2009 at Nelson Mandela Metropolitan University where she developed a working knowledge of media, communication and psychology, Carmen spent some time working with marketing and brand agencies and soon discovered her love for radio presenting and theatre performing. Carmen studied part time drama training at Stage-world School of the Arts and landed her first role in a Broadway musical review and went on to perform in various musical stage productions with Gilbert and Sullivan Society. In addition, she completed a course in Public Relations and this has helped her to promote which ever brand she is associated with.